The earliest libraries in Hawaiʻi appear to have been reading rooms provided for ships’ officers and crews. In Lāhainā, the Seamen’s Chapel and Reading Room was built in 1834 following an appeal by William Richards and Ephraim Spaulding. In Honolulu, the Sandwich Islands Institute, organized in November 1837, fitted up a room at the Seamen’s Bethel in downtown Honolulu as a library and a museum of natural history and Pacific artifacts. A newspaper article in October 1840 referred to this as a “Public Library, three to four hundred volumes” and also listed a “Reading Room for Seamen,” presumably at a different location. In 1879, a group of men founded the Honolulu Library and Reading Room Association. In the local newspaper, the Commercial Pacific Advertiser, editor JH Black wrote, “The library is not intended to be run for the benefit of any class, party, nationality, or sect.” From 1879 to 1912, library service was provided by the Honolulu Library and Reading-Room Association. In 1909, Governor Frear helped pass the “Act to Provide for the Establishment of the Public Library of Hawaiʻi”. On May 15, 1909 the Honolulu Library and Reading Room and the Library of Hawaiʻi signed an agreement by which the former agreed to turn over all books, furnishings and remaining funds to the latter. In 1921, Laura Sutherland, Assistant Head Librarian in charge of the “Extension Department,” laid the groundwork for a legislative act that established separately-budgeted county libraries on the neighbor islands. The County Library Law established separate libraries on the islands of Kauaʻi, Maui and Hawaiʻi, under minimal supervision by the Library of Hawaiʻi (which focused its services to Oʻahu.) 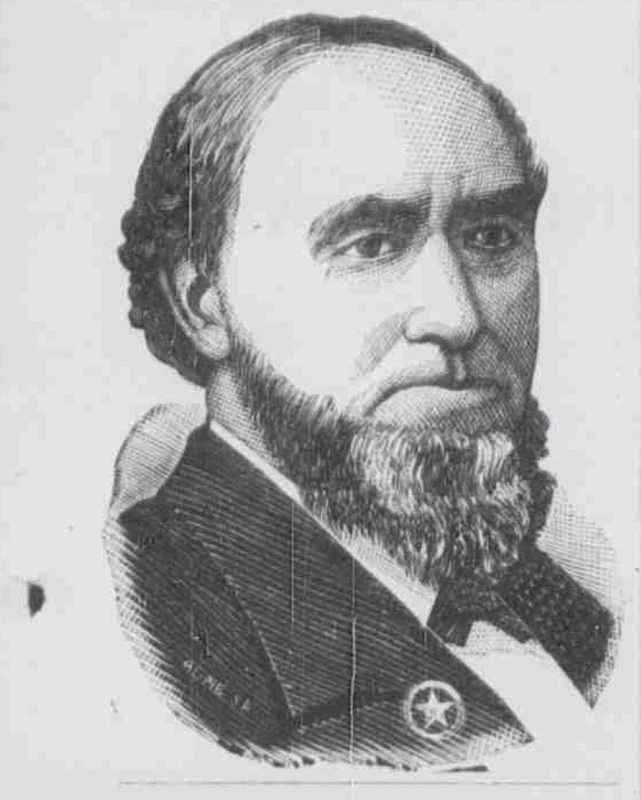 With the passage of the law, Sutherland’s duties included the expansion of the Library to the Neighbor Islands. Her work took the books beyond the Neighbor Islands – prior to the establishment of regular naval libraries (just before WWII,) Sutherland shipped out books for use by the construction crews on Palmyra, Johnson and Midway atolls. Reading rooms also served military posts and units. Then, a new transportation service hit the islands and Pacific. The China Clipper (four-engine flying boats built for Pan American Airways) flew the first commercial transpacific air service from San Francisco to Manila in November 1935 (a flying time of over 21-hours from the coast to the Islands.) From Honolulu it hopped to Midway, Wake and Guam, before arriving in the Philippines. Shortly after, Pan American initiated regular six-day weekly passenger and cargo service between San Francisco and Manila, via Honolulu, Midway, Wake and Guam. Sutherland took advantage of these flights and expanded the reach of her “Extension Department” by supplying reading material to residents on Midway and Wake, with the cooperation of Pan Am. 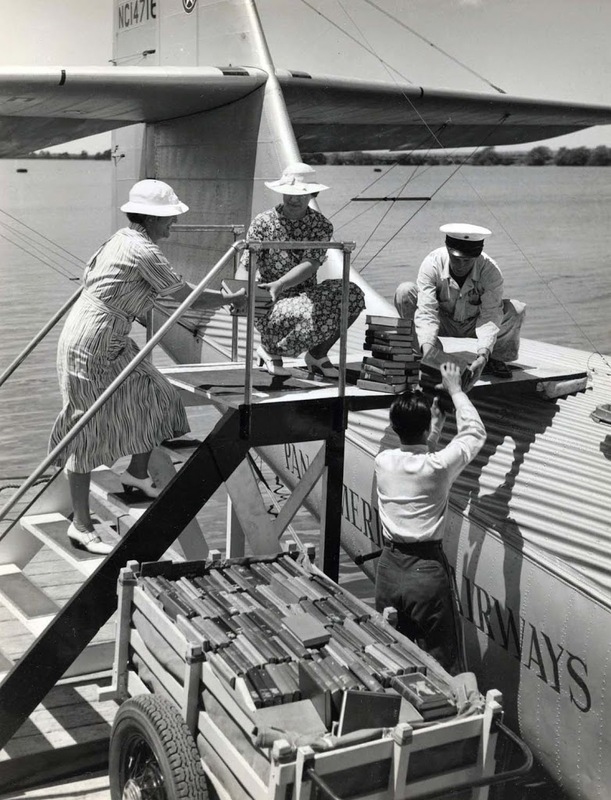 The image shows Librarians Laura Sutherland (left) and Margaret Newland (center) handing over books to the Pan Am airplane transport employees for loading into the plane, June 1936. I have added other images to a folder of like name in the Photos section on my Facebook and Google+ pages.